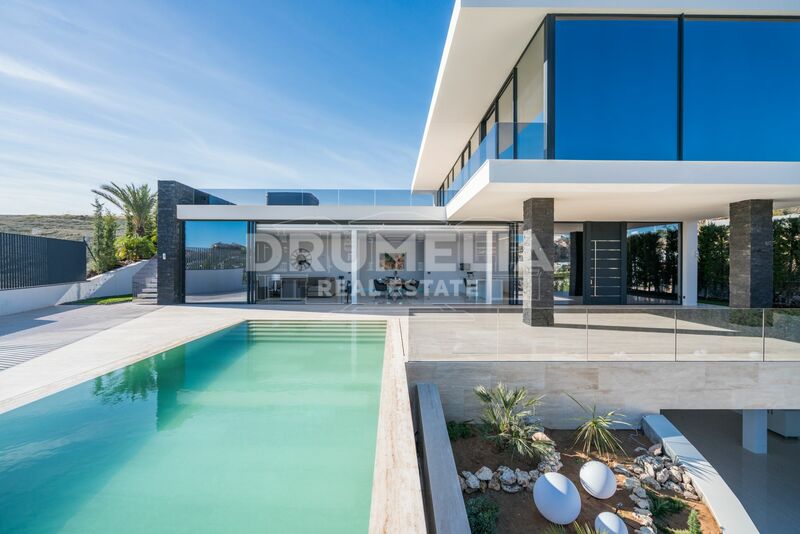 This fantastic property constructed in 2016 is situated in a well thought out, quiet and green residential area that mixes traditional Andalusian flair with cosmopolitan ambience. 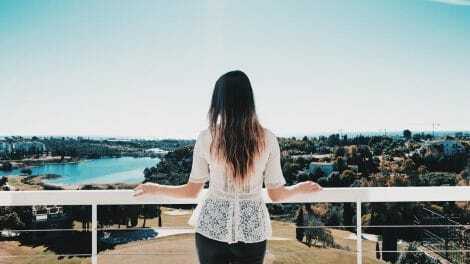 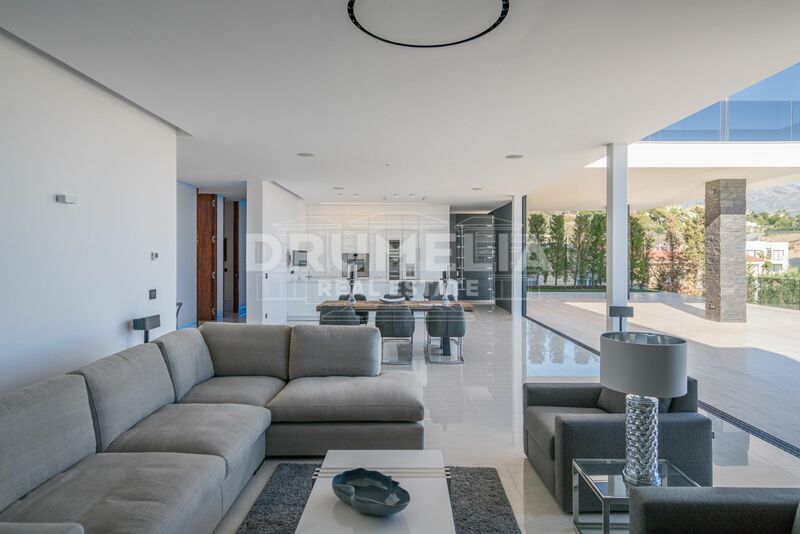 It is located only in a few minutes’ drive from some of the best beaches on the coast, charming Old Town of Marbella, casino and fashionable marina Puerto Banus with its white yachts, fine restaurants and designers’ boutiques. 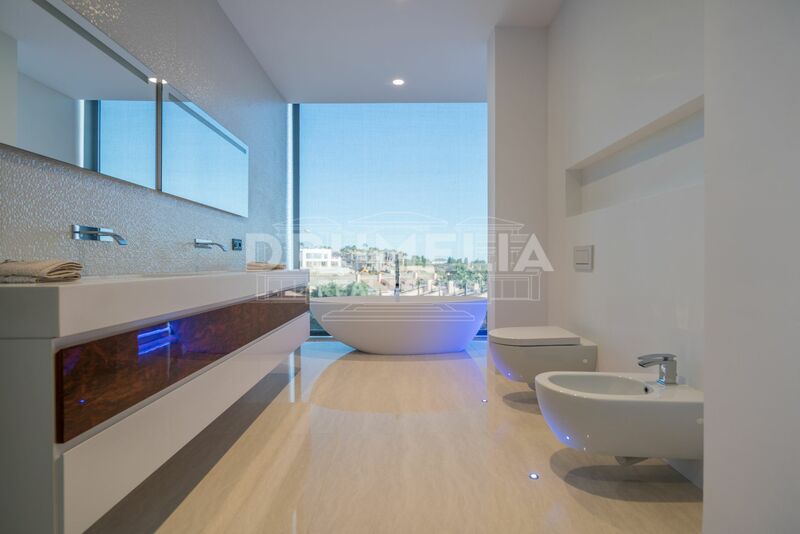 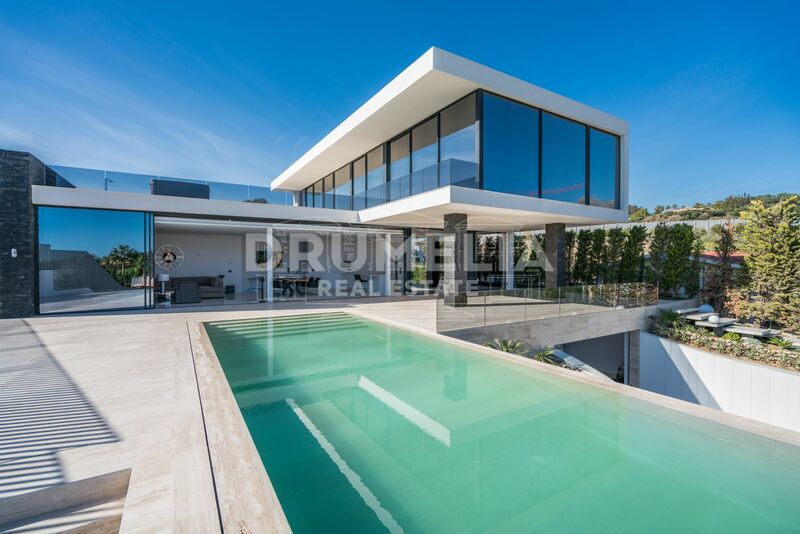 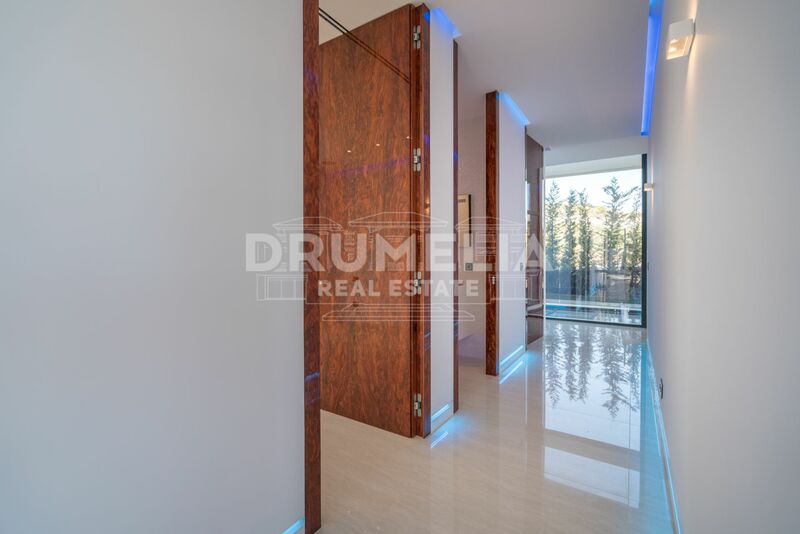 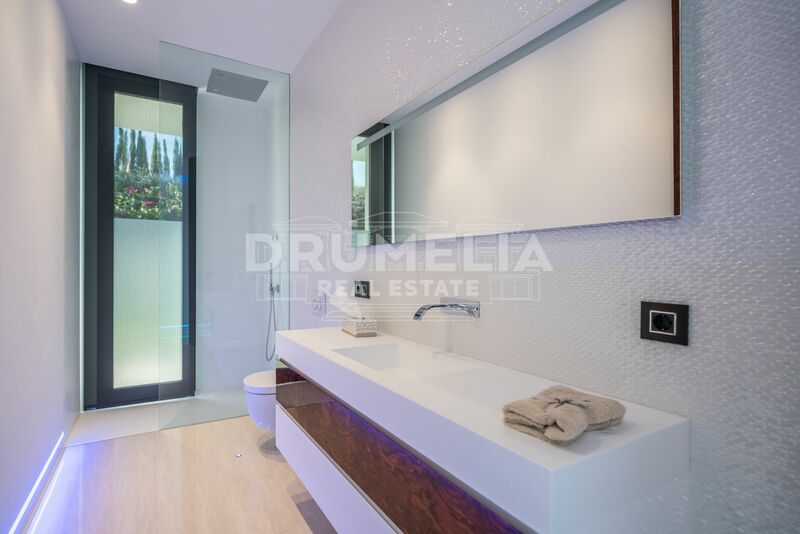 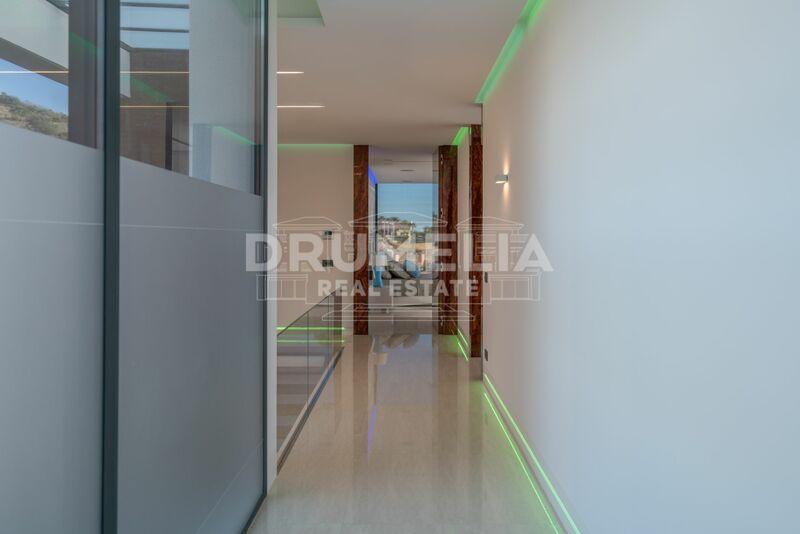 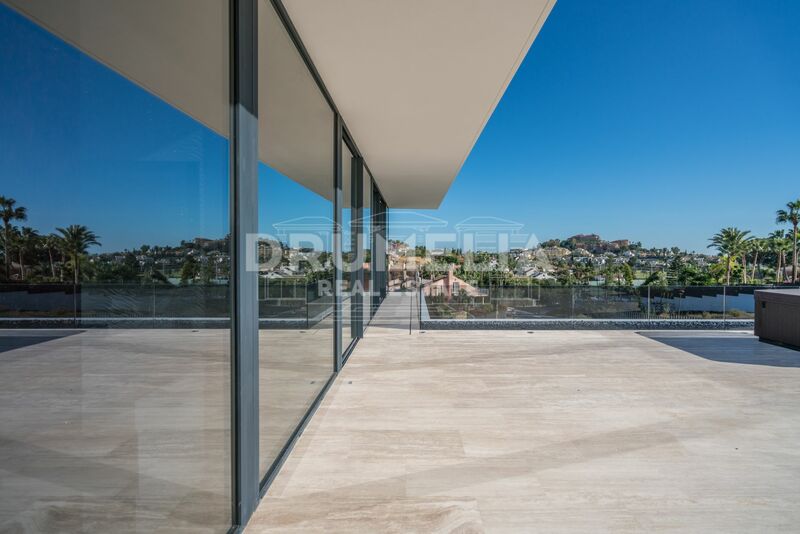 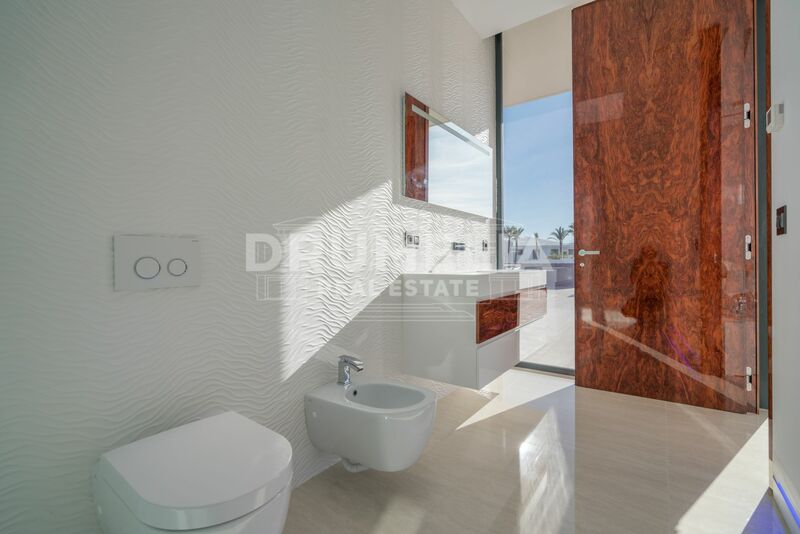 Being located in one of the best positions in Nueva Andalucia within a prestigious gated golf community with 24h security, this contemporary/modern villa of 800 m2 (incl basement and terraces) has been built with exclusive materials to the highest standard. 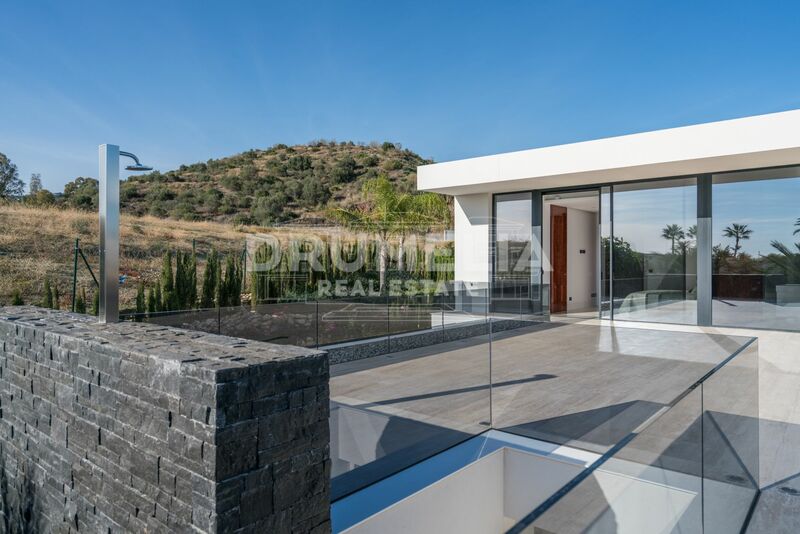 Set on a plot of 1400 m2 it boasts spectacular views of the Los Naranjos golf course and picturesque surroundings, as well as some sea views. 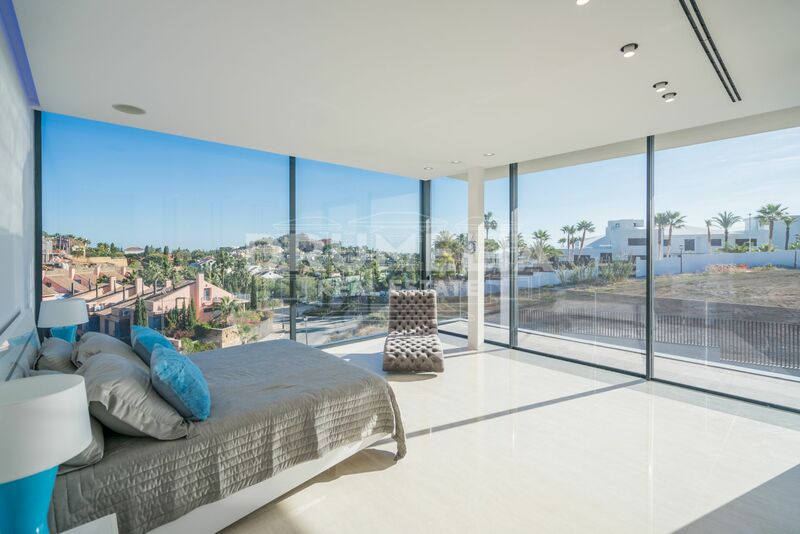 A general sense of minimalism doesn’t prevent it from being very comfortable and elegant. 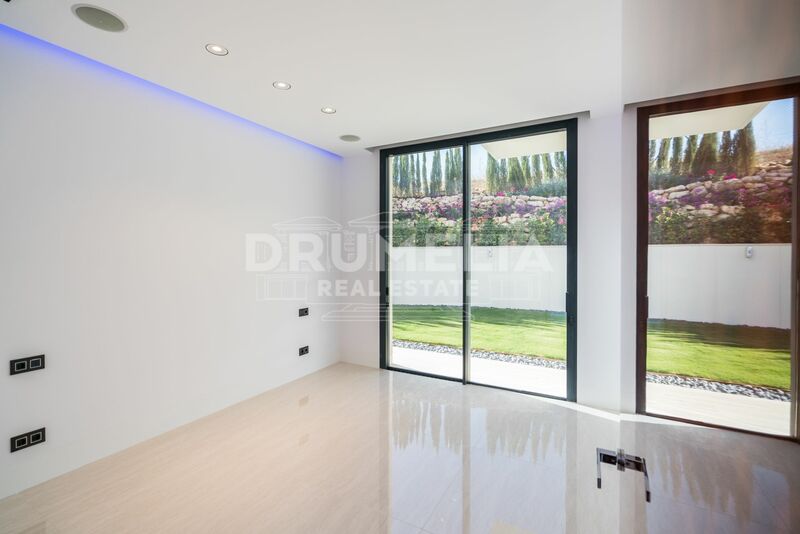 Offering the best of luxury living, this contemporary designed house consists of spacious open plan living room/salon with a fireplace, dining area and direct access to the terraces; 4 large bedrooms en-suite, with 3 walk-in closets and 2 fitted wardrobes, and 1 office which can be used as the 5th bedroom with a separate bathroom; a state of the art-kitchen with Gaggenau appliances; laundry and storage rooms, guest toilet, etc. 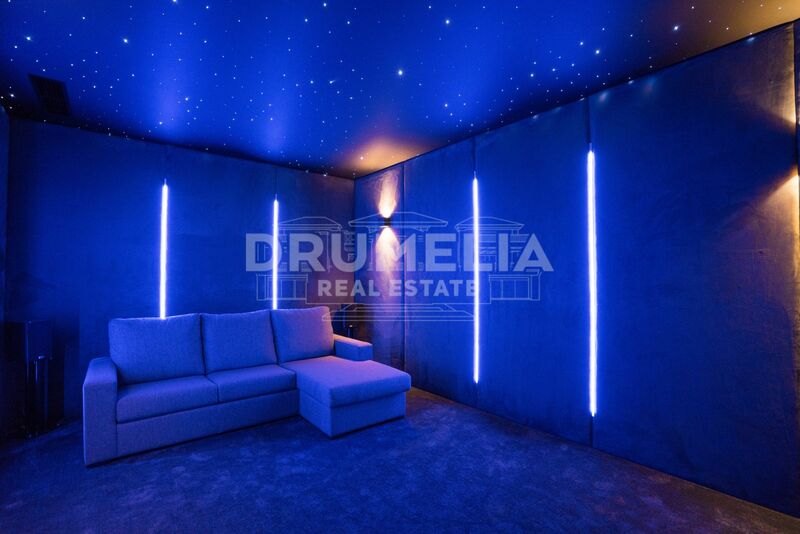 The garage underneath the house has room for 3 cars, and there are a special machinery room and a fully fitted home cinema room in the basement. 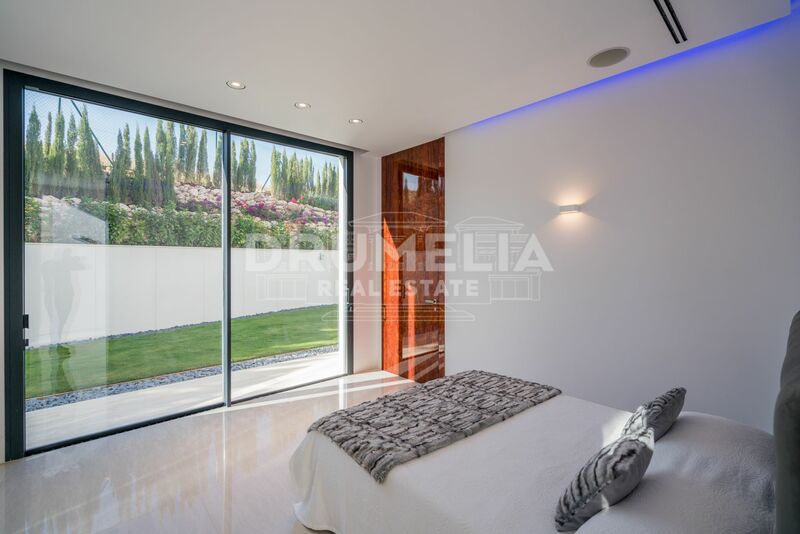 The eco-friendly, energy efficient villa will reward its owners with up-to-date functionality and design. 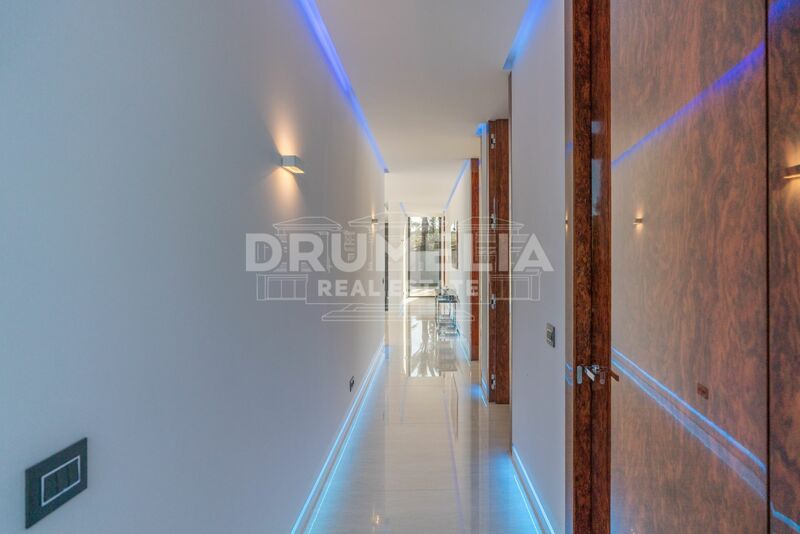 Being perfectly equipped it has got floor heating and floor cooling, integrated Domotica system, Technal aluminium windows with state of the art technology, Climalite and Thermo glass, special magnetic locks of interior doors, Bandalux automatic blinds, illuminated skirting boards and indirect led lights, SONOS and BOSE surrounding sound system all through the house, beautiful restricted colour palette, marble and nature stone, floor to ceiling glass, modern air conditioning, alarm, automatic irrigation system, etc. 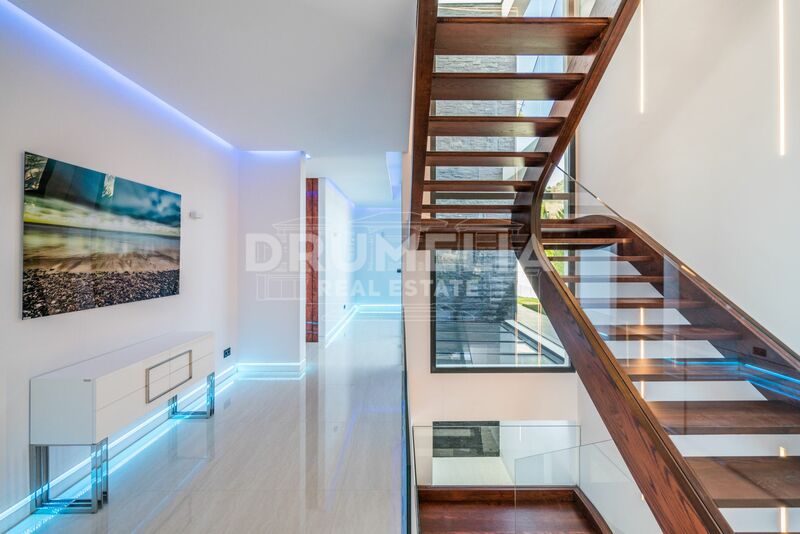 There are an elevator in the house, flying staircase in wood and glass, Jacuzzi on roof terrace and glass railings all over the house making it both safe and comfortable. 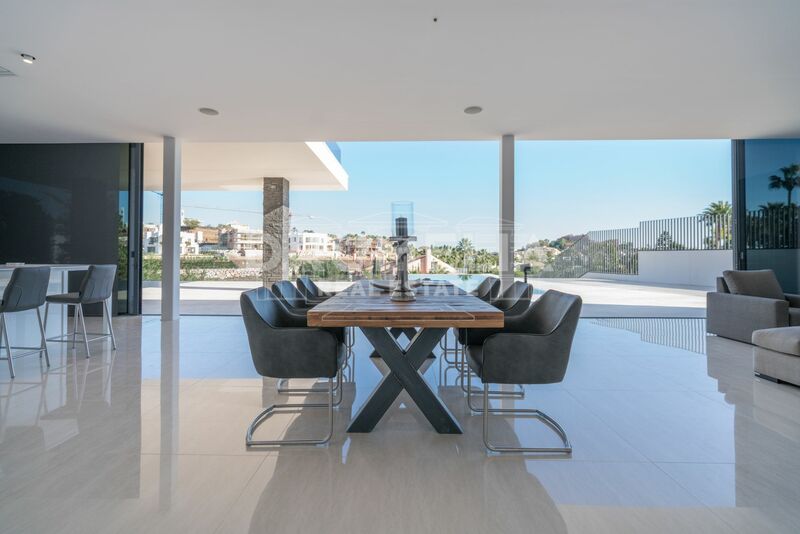 An outdoor entertaining area is a fantastic addition – private terraces, al fresco dining and lounge areas, stylish pool with solarium, barbeque…The sunsets views from the well-groomed landscaped gardens are magnificent!